Shonibare employs a wide range of media – sculpture, painting, photography, video and installation pieces – to explore matters of race, class, cultural identity, and history. The artist is best-known for his use of a colourful batik fabric, which, though labeled as ‘African’, actually originates in Indonesia and was introduced to Africa by British manufacturers via Dutch colonisers in the nineteenth century. Incorporating the fabric into Victorian dresses, covering sculptures of alien figures with it or stretching it onto canvases, Shonibare uses the fabric as a metaphor to address issues of origin and authenticity.Published as a companion to Shonibare’s first retrospective at the Museum of Contemporary Art, Sydney, Australia, and the Brooklyn Museum of Art, New York, this survey explores all aspects of Shonibare’s work, offering a fully comprehensive portrait of his projects. Whether he is lampooning Victorian propriety or commenting on the latent ambiguities of the term ‘alien’, Shonibare makes art that challenges straightforward interpretations. Essays by Rachel Kent and Robert Hobbs, together with a generous selection of colour illustrations explore this talented young artist’s work. Chapter authored: Setting the Stage: Anthony Downey in Conversation with Yinka Shonibare. 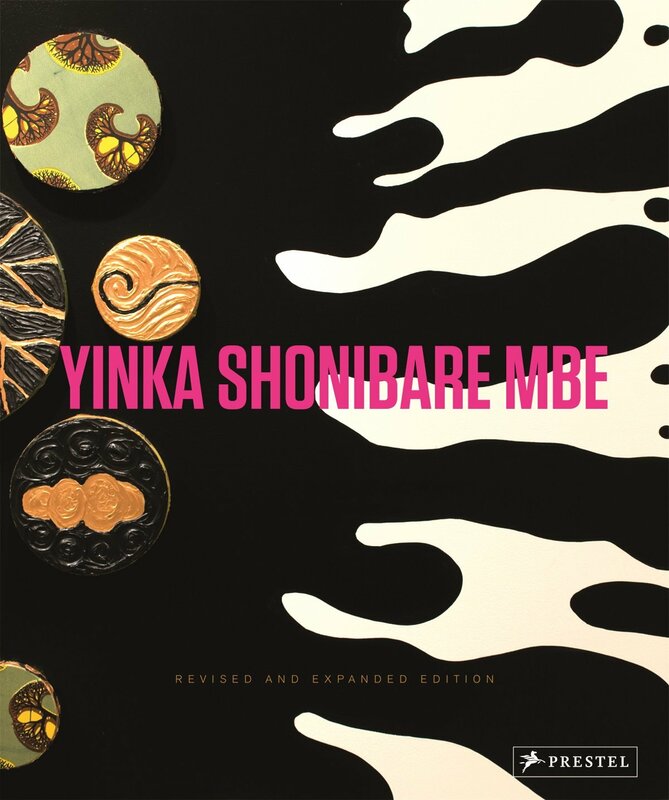 To purchase a copy of Yinka Shonibare, MBE please follow this link. Downey, Anthony. “Setting the Stage: Anthony Downey in Conversation with Yinka Shonibare.” Yinka Shonibare MBE. Munich: Prestel, 2008. 38-45.